"Badger Island and Crescent Island, Washington"
Click image to enlarge Badger Island, Washington. View from Washington State Highway 12, upstream of the Port of Walla Walla. Image taken September 25, 2005. 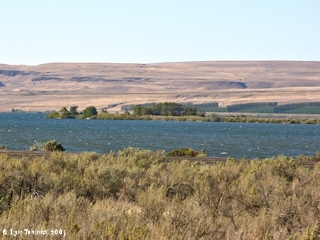 Badger Island and Crescent Island are located in the Columbia River at River Mile (RM) 318, seven miles downstream of the Snake River and the Burbank Slough and two miles upstream of Wallula, Washington and the mouth of the Walla Walla River. Crescent Island, just downstream from Badger Island, is also part of the McNary National Wildlife Refuge complex, and is owned by the U.S. Army Corps of Engineers, and co-managed with the U.S. Fish and Wildlife Service. Click image to enlarge Crescent Island, Washington. 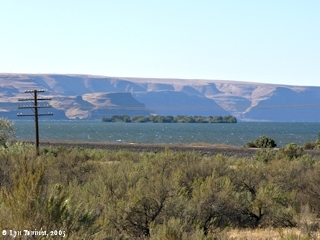 View from Washington State Highway 12, upstream of the Port of Walla Walla. 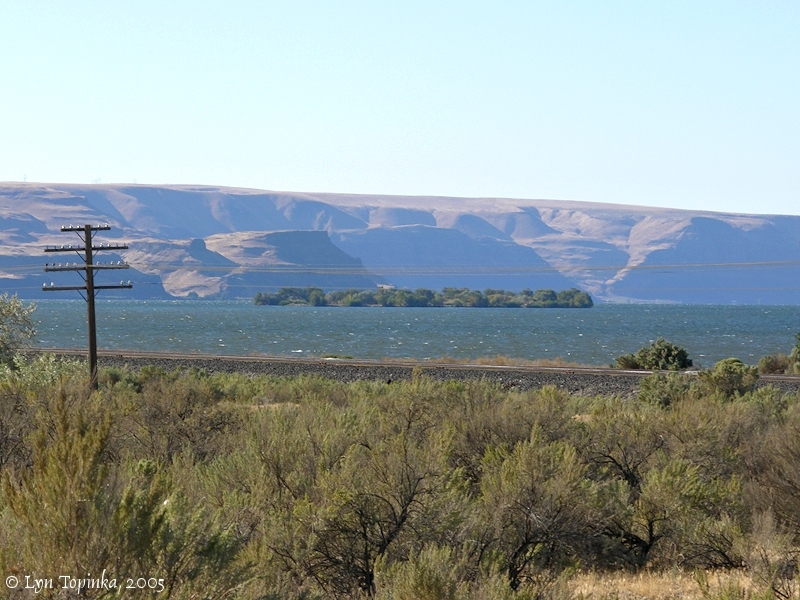 The Wallula Gap is in the background. Image taken September 25, 2005.